Survive in the Eastern Woodlands without twenty-first-century technology. Above, educator Griffin Kalin presented a program on how Native Americans prepared for winter, including how to find shelter, make food and stay warm at the Institute for American Indian Studies on Saturday afternoon in Washington. For Native American people living in the Northeast, using resources and preparing for winter was vital to survival. So how did they find shelter, make food, and stay warm when the weather was cold and their resources were diminished? 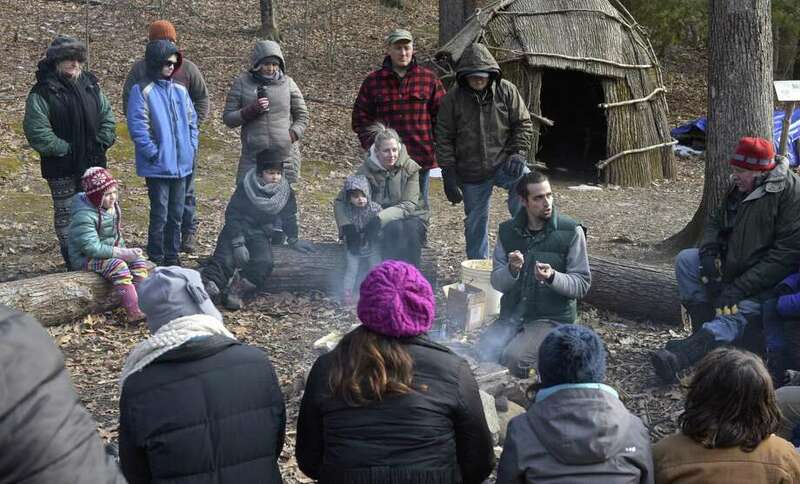 The Institute for American Indian Studies educator Griffin Kalin presented an informative program on how to survive in the Eastern Woodlands without 21st-century technology. Participants learned how to start a fire in the snow, how to find food in the forest, and how to make a shelter from the natural environment.